We support conservation and environmental education to promote appreciation, understanding, and preservation of birds, other wildlife, and diverse ecosystems for present and future generations. You may recall that This program was originally scheduled last Spring but, was cancelled due to a power outage at Manchester University. Let’s hope I didn’t just jinx it for this year. For many years, the sugarcane agricultural industry in south Florida has been implementing a nest box program in an attempt to inflate the local population of Barn Owls. It is hoped that these birds serve as biological controllers of rodent pests. This program has resulted in one of the densest populations in the world of what is typically considered an imperiled species. From 2005-2006, Jason Martin studied these owls and their relationship to both their prey and the agricultural environment in which they live. In this talk, he will present the findings of his research as well as potential conservation implications. Jason Martin received his Ph.D. in Wildlife Ecology & Conservation from the University of Florida. Following this, he worked as a biologist for the state wildlife agencies of Florida and New York. He currently lives in Warsaw, IN and works as a wetlands biologist for Kleenco Maintenance and Construction. This event will be held at the Manchester University campus on the second floor of the Jo Young Switzer Center (JYSC) student union in the Hoff Room. The JYSC is located on East Street, a couple hundred feet North of the College Avenue intersection. The price of dinner is $12 and includes: Honey roasted turkey, lasagna, salad, roasted sweet potatoes, green beans and carrot cake. Those who do not wish to join us for dinner may attend the program for no cost. Did you know that nearly 300 species of mussels inhabit freshwater rivers and lakes in North America? This is the richest diversity of mussels found in the world. Freshwater mussels are sedentary, long-lived (some live over 100 years) mollusks that live in sediments and filter water to feed. Because they are filter-feeders, mussels are excellent indicators of the health of our lakes and rivers. In addition, mussels are a vital link in the food chain because they are a major food item for wildlife such as raccoon, muskrat, and otter. Their lustrous pearl-like interiors have made them valuable in the cultured pearl and jewelry industry. The Tippecanoe Audubon Society is sponsoring an educational presentation on the mussels in our local lakes and rivers on November 14 in the Hoff Room at Manchester University. Dinner will be served at 6:30 pm and the program will start at 7:30 pm. If you would like to attend the program but, do not wish to join us for dinner, please arrive a little before 7:30 p.m. There is no charge if you only attend the program. Warren Pryor, professor of biology at the University of St. Francis will help us learn all about our native mussels and explain why they’re so important to our streams and rivers. Dr. Pryor will talk about the research he and his students have been conducting on the mussel beds in our local watersheds. Tonight’s ‘owls and rodents’ program has been cancelled due to a campus-wide power outage that is not expected to be resolved in time. We hope to be able to reschedule this program and will keep you all informed through our website and facebook page. Please join us for Tippecanoe Audubon Society’s Annual Dinner. It’s a great chance to make new friendships or renew old ones! Good food and interesting topics! This year’s event will feature speaker Jeff Ormiston. With his stunning close-up photographs and engaging style, Jeff will introduce us to the common dragonflies and damselflies of Northern Indiana, and provide tips on how to identify the different species. Jeff will also tell us about their natural history. Dragonflies and damselflies are second only to butterflies in attracting as much favorable attention to the insect world as warblers do in the bird world. They are acrobatic flyers, they come in a wide range of stunning colors, and some of them even migrate long distances. As with birds, a wide array of species are present in the warm months, and they occur in a range of habitats. Also, they have great common names, sexual dimorphism (males and females are often differently colored), and binoculars are handy to view them in their full glory! Jeff is currently a naturalist with the Allen County Parks and Recreation department, where he has been since his retirement from the steel industry in 2013. Jeff is an Indiana Master Naturalist, an Indiana Master Gardener, a certified Interpretive Guide, an excellent photographer, and a man with great curiosity about the natural world. Won’t you join us for this fascinating glimpse into the world of bird-like insects. If you would like to attend the program but, do not wish to join us for dinner, please arrive at 7:00 p.m. There is no charge if you only attend the program. Contact Dave Hicks at (260) 982-2471 or djhicks@manchester.edu to reserve your spot. Ben Cloud researched chickadee hybridization with Professor of Biology, Dr. Short, in 2012. His goal was to determine the boundaries of the hybrid zone between Black-capped chickadees and Carolina chickadees. Using microsatellite markers, he determined the extent of hybridization in four chickadee populations spread over a 70 km north-south transect in Northern Indiana. He compared his genetic data with morphological data collected 30 years ago, and found that the chickadee hybrid zone has widened and shifted northward in the last 30 years. Future studies will aim to monitor the hybrid zone and possibly identify mechanisms for its shift. Ben will present this research and its implications at this program. Event takes place in the Hoff Room at the Student Union. Dinner will be served at 6:00pm and program will follow. 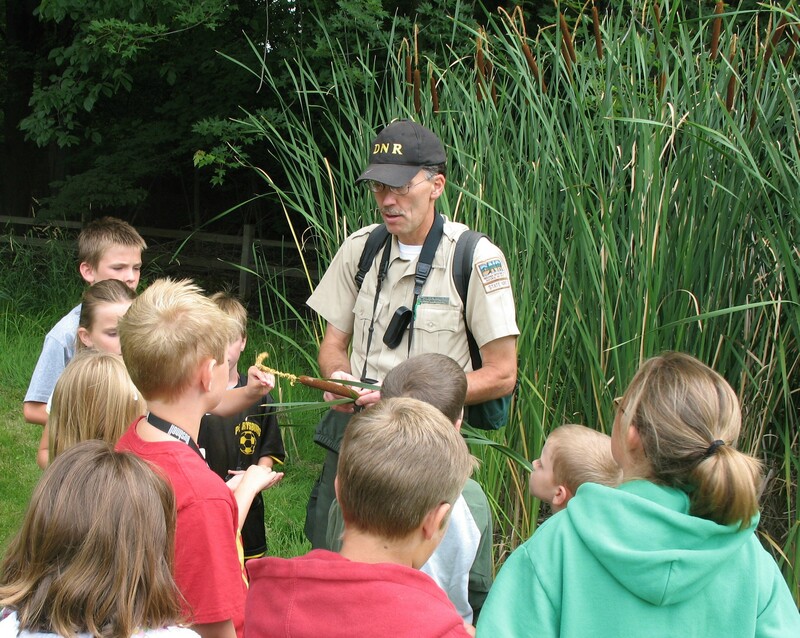 Fred Wooley has been with the Indiana Department of Natural Resources at Pokagon State Park for over three decades. He will discuss some of the trends of bird numbers and some of the programs, public and private, that have influenced their successful reclaiming of historic ranges in Indiana We’ll be reminded of our continued work towards their conservation. Saturday, September 8, 9:00 a.m.
Tony Fleming, Licensed Professional Geologist, will lead an on-site program on the geologic history of the Upper Wabash Valley and how that history influences modern ecosystems and plant communities. 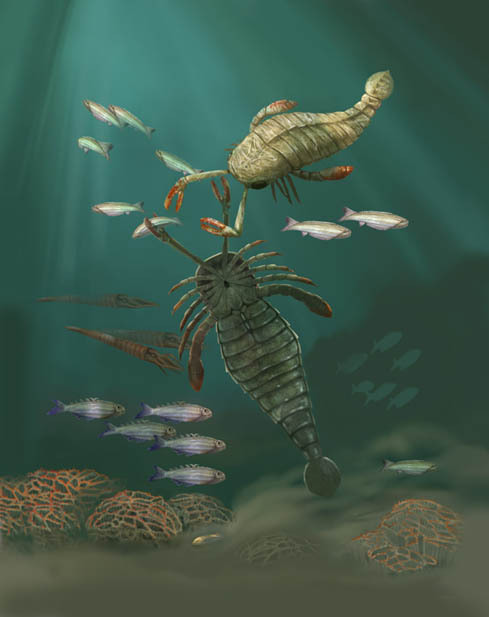 We will observe geologic features dating back to the Silurian period (400 million years ago). We will begin at Sunken Gardens Park in Huntington (good fossiliferous reef) and proceed down US 24, taking in the Star Gravel Pit from the roadside, the US 24 reef roadcut (great exposure, many fossils), and some geological sites around the City of Wabash, such as Paradise Spring (where we will break for a picnic lunch) and Charley Creek Canyon. Hathaway Gorge also has a variety of interesting geological features related to plants. The article on the adjacent page explains some of what we might expect to hear about in more detail. Many of us will also meeting at Kenapocomocha coffee house at 8:00 a.m. to carpool from North Manchester. You may meet up here or meet us at Sunken Gardens Park (1200 W. Park Dr., Huntington) at 9:00 a.m.